Talks show that Japan has created an interesting, if short-term window of opportunity. Bilateral discussions between the North Korea, South Korea and Japan have been gathering pace as of late, with the U.S. weighing in when and where it feels its interests are concerned. Many of these discussions are part of normal, preplanned activity, but a few are noteworthy in either their infrequency or implications. The Korean Peninsula is the center for all these talks, as regional forces bend relationships in familiar and unexpected directions in turn. Japan’s relationship with both countries has seen some of the most interesting changes lately. As The Diplomat has previously noted, Japan and North Korea are currently conducting investigations into Japanese citizens abducted in the 1970s and 80s. This level of cooperation has been exceedingly rare over the past decade. Relations between Japan and South Korea have also been cool, especially since Japanese Prime Minister Shinzo Abe came to power and visited the controversial Yasukuni Shrine that houses war criminals from the Second World War. This week, however, the two countries announced two new meetings: one between their foreign ministers on the sidelines of the ASEAN Regional Forum next month in Myanmar, and another this week in Tokyo between their top nuclear envoys to discuss the resumption of six-party talks. The meeting in Myanmar would be the first between the current foreign ministers, and the Tokyo meeting will be the first time in almost four years that South Korea’s nuclear envoy will have visited Japan. While probably not directly linked to Japan’s recent talks with North Korea, Seoul is more than likely concerned with losing leverage over Pyongyang, and will want to redirect regional efforts back toward confronting North Korea over its nuclear and ballistic missile programs. The U.S. appears to be worried about the same thing, as there are reports that Secretary of State John Kerry warned Abe on July 7 while speaking with Japanese Foreign Minister Fumio Kishida against visiting North Korea. Japan has held out the possibility of Abe visiting Pyongyang in August if the abductee investigations are successful, a diplomatically symbolic political move that would be hugely helpful for both country’s leaders domestically. A source close to Japan-U.S. relations who spoke with the Kyodo News said that the U.S. requested a consultation with Abe prior to any trip to North Korea. In addition to asking Seoul to prolong U.S. control of wartime operations beyond December 2015, Washington also reportedly asked South Korea this week to keep the Combined Forces Command in Seoul instead of moving it due south to Pyeongtaek, Gyeonggi Province by 2016, in order to be able to better coordinate emergency situations. This is not an unusual request and underlines the U.S.’s basic strategy of keeping the frontline north of Seoul while commanding from the capital, despite large public opposition to U.S. military presence. South Korean government sources report the administration is inclined to grant the request, both out of military necessity and the symbolic gesture it sends to North Korea. Finally, in what appears to be an effort to keep every option on the table, The Blue House in Seoul announced the launch of a 50 member reunification committee to be chaired by the president. Reunification is one of the primary planks in President Park Geun-hye’s political platform, but moves like this are just as likely to spark an unwelcome response from Pyongyang as they are to draw the two countries together. North Korea for its part on July 7 issued a statement calling for a reduction in “reckless hostility and confrontation” that would lead toward the same goal, a call that was swiftly rejected by Seoul. However, as the two sides meet to discuss the upcoming Asian Games on Thursday in the demilitarized zone village of Panmunjom, it appears both sides are willing to work together in a limited way for the time being. As the delicate and long-term balancing act that is Northeast Asian security negotiations continue, all of these bilateral talks play into each other. 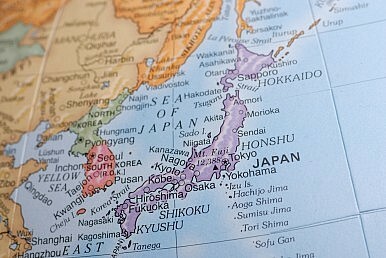 Japan’s actions of late have curiously been the most influential, despite usually having the least leverage over North Korea among all the parties involved in the region. The U.S. and South Korea appear to be trying to bring Japan back in line with the traditional approach to North Korean negotiations, and at this point should be expected to do so over the long term given that Tokyo and Pyongyang have not indicated any intention of pushing their recent negotiations beyond the scope of the abductees. The most interesting point may be that Japan appears to have managed to thaw its relations with Seoul somewhat, by showing it has the ability to negotiate with South Korea’s volatile neighbor, and that the U.S. has so far been unable to influence Tokyo on this front.